Google AdWords can generate a lot of traffic for your website. In addition, the incorrect use of this service can also be a huge waste of your money. It is therefore important that you manage your AdWords campaign with Google Checkout. 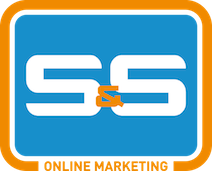 S & S Online Marketing is a specialist in the field of search engine marketing. We will help your campaigns succeed! Do you want your Google AdWords campaigns to succeed? Please contact quickly with S&S Online Marketing and take advantage of all the benefits we offer.